The New Jersey First Act makes it mandatory for many public officers and employees to live in New Jersey. The law, which went into effect September 1, 2011, requires all New Jersey state and local government employees to reside in New Jersey unless otherwise exempted. This includes, for example, employees of public agencies, commissions, public institutions of higher education, and school boards. Employees who were already employed as of September 1, 2011 are grandfathered in, meaning they are not required to meet the residency requirement and are not required to move to New Jersey if they were not required to under prior law. 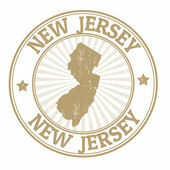 However, those who begin working after September 1, 2011 must reside in New Jersey. If they do not, they have one year following the start of their employment to relocate to New Jersey. If the new employee does not move within a one year period, she may be removed from her position. The September 1, 2011 cutoff date is determined based upon when the employee actually started working, not when she received an offer of employment. If there is a break in employment of more than seven days, an employee previously grandfathered in, may lose that status and become subject to the residency requirement. A “break in public service,” while not set forth in the language of the law, is defined by the New Jersey Civil Service Commission as “an actual separation from employment for more than seven calendar days due to such causes as resignation, retirement, layoff, or disciplinary removal.” Generally, a resignation for the purposes of a new public appointment in the same governmental jurisdiction is not considered a break in public service. Likewise, if an employee who was employed prior to September 1, 2011 moves out of New Jersey following that date, she may lose her status as a “grandfathered-in” employee and be subject to the residency requirement. That employee does not get a one year grace period to return to New Jersey, she may immediately lose her position following her move out of New Jersey. However, the New Jersey First Act allows an employee to apply for an exemption to the residency requirement. An employee may request an exemption based upon “critical need or hardship.” That phrase is also not defined by the law, but is determined on a case-by-case basis by the Employee Residency Review Committee, and is often supported by claims of caring for ill family members or financial hardships. Since the enactment of the law, through May 2013, over five hundred cases have been brought before the Review Committee requesting an exemption to the law, most from teachers and other school board employees. Nearly three quarters of the requests have been granted. However, providing insufficient documentation is likely to lead to a denial by the Review Committee. The attorneys at McLaughlin & Nardi, LLC are experienced with employment laws, particularly in relation to public employment and New Jersey teachers, and can advise employees on their rights under New Jersey employment law and New Jersey’s residency requirements. To learn more about what we may be able to do to help, please visit our website, or contact one of our New Jersey lawyers by e-mail or telephone at (973) 890-0004.